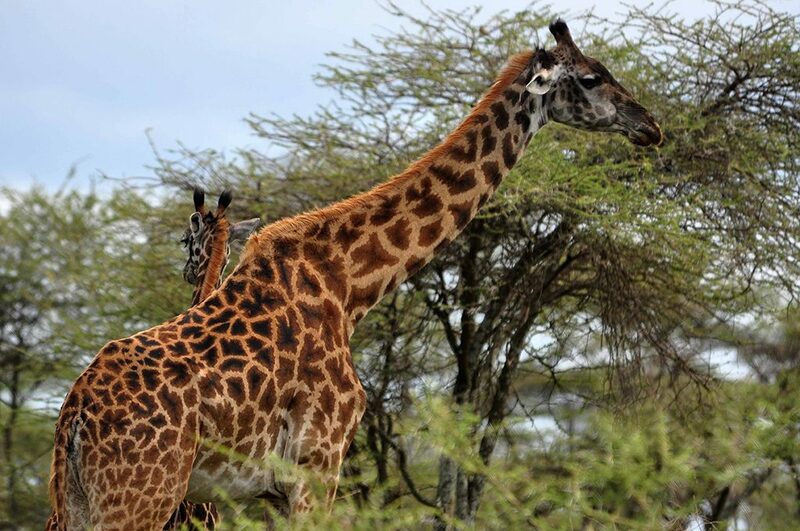 The Serengeti National Park is without doubt the most famous safari destination on earth. 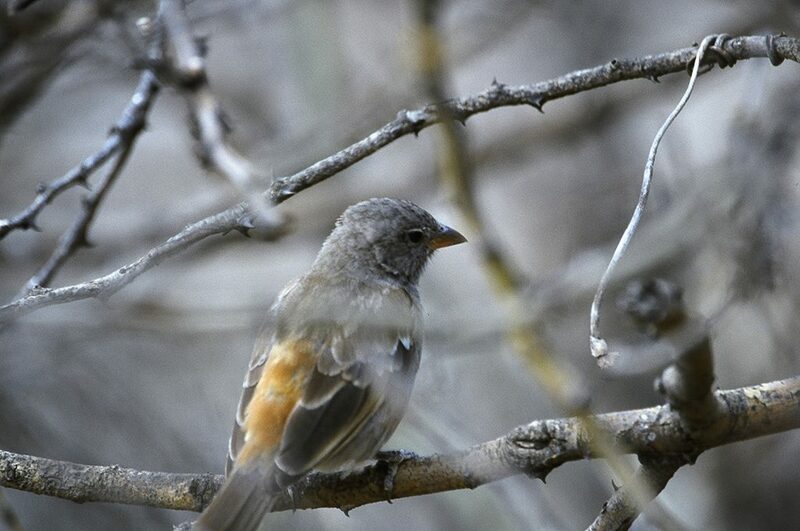 The best time and place time to see the migration is in February in the short grass plains. This is your best bet at seeing the herds crossing vast areas, and maybe even that fateful river crossing that has featured in National Geographic. 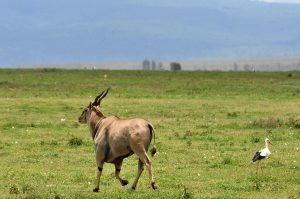 There is a second migration around July in and near the Grumeti Corridor, where you can see the animals going north back towards the Masai Mara. 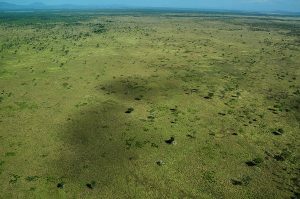 The Serengeti has so many other features that make it special, however you need to get the right camp at the right time -or the plains can be stunning but somewhat bare. 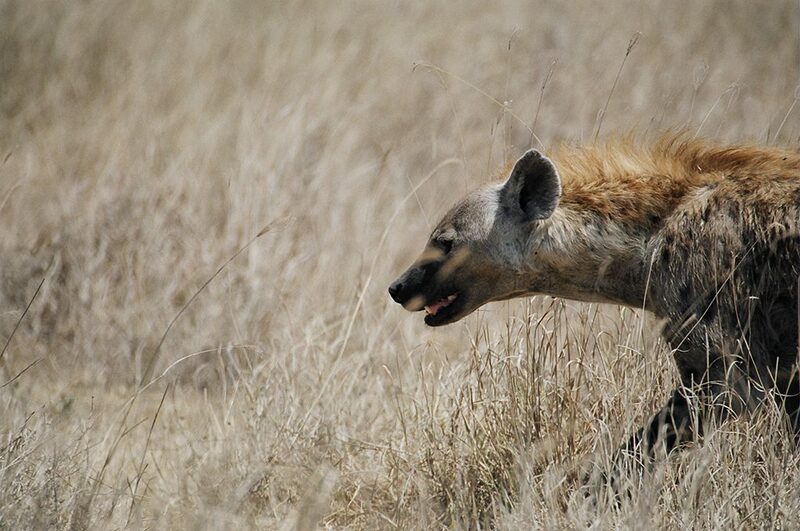 We specialise in: getting you to the right part of the Serengeti at the time of year. 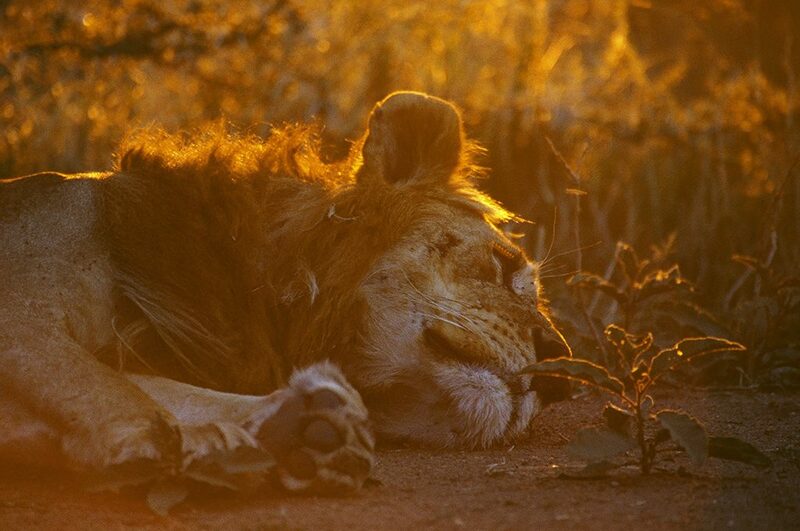 A 5 day safari in the Serengeti & Ngongoro crater costs £2200 (approx. US$2794) in the low season. 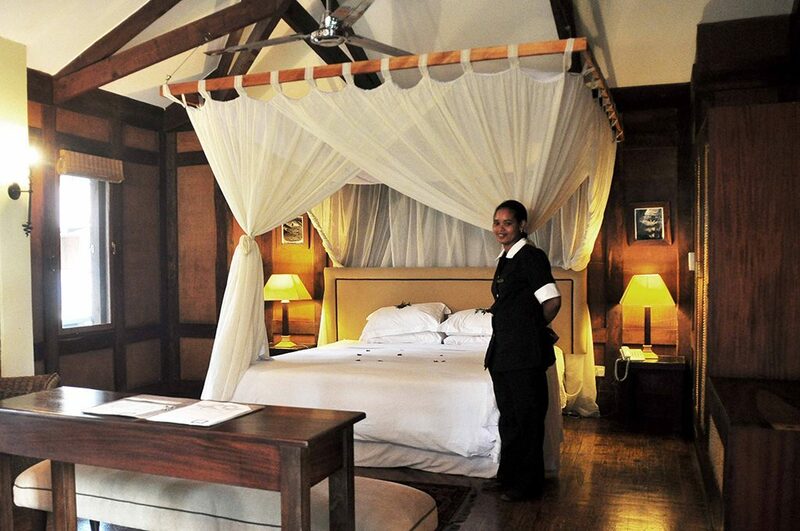 Add a week in Zanzibar including domestic flights £950 (Approx $1300). 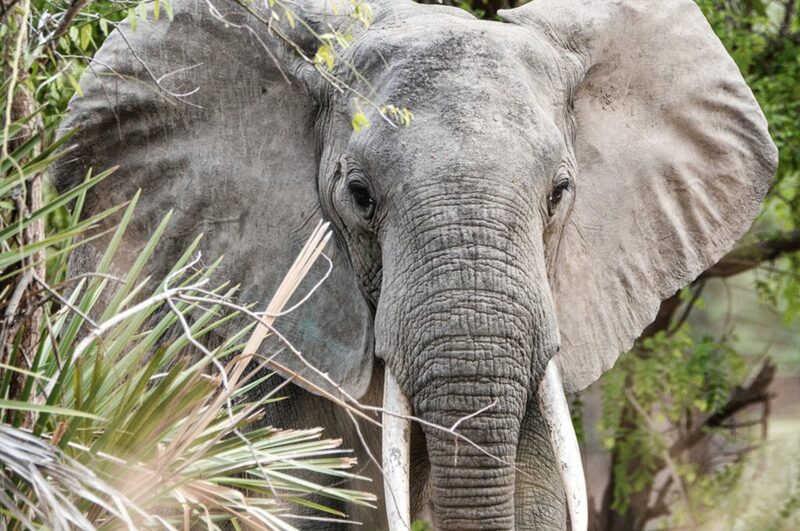 There is no one Tanzania Safari Tour that defines Tanzania. 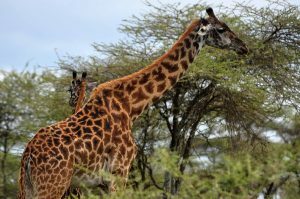 Many people come to us and ask for our “best seller” or the “classic Tanzania” – this simply does not exist, but the one name that catches everyone’s attention is the Serengeti National Park. 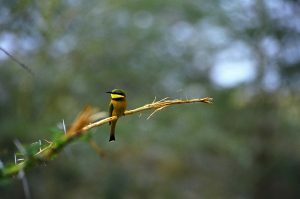 While every Tanzania safari tour is tailor made, there are some must-sees that our clients simply love. 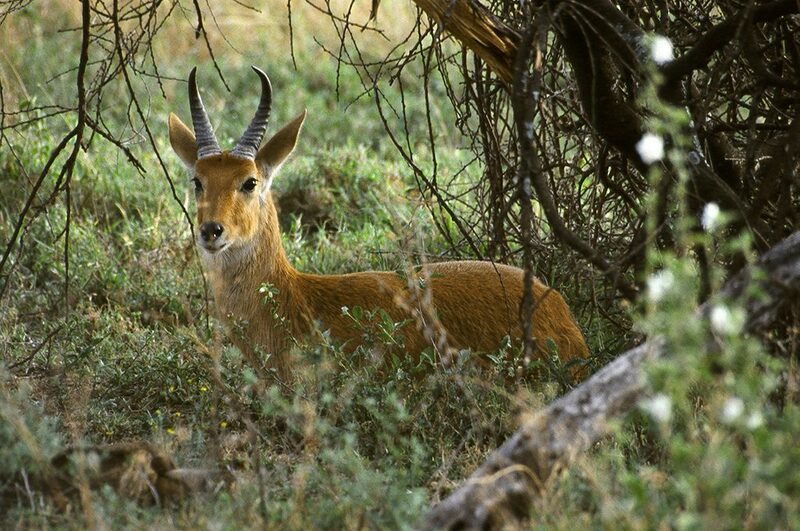 The Serengeti Safari Tour takes in Tarangire National Park, the Ngorongoro Crater and the Serengeti National Park. 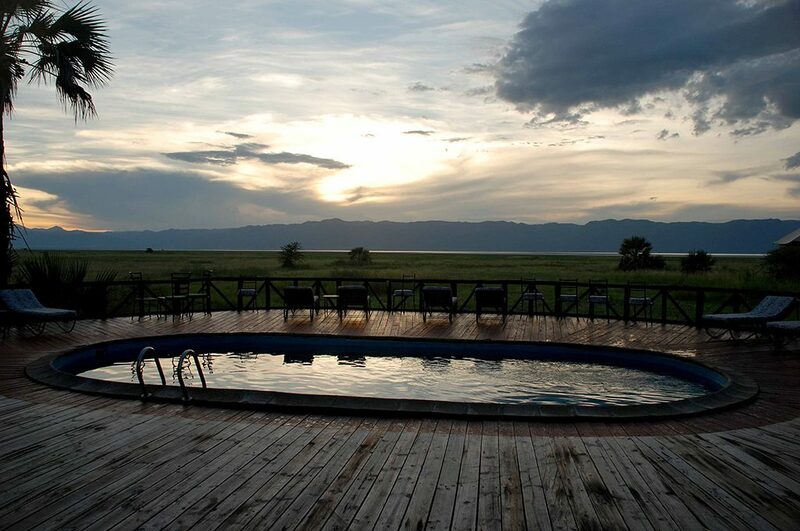 You get to see the hills of Tarangire, with the dry plains and the incredible vista of the Ngorongoro Crater, before entering the Serengeti National Park at Naabi Hill. 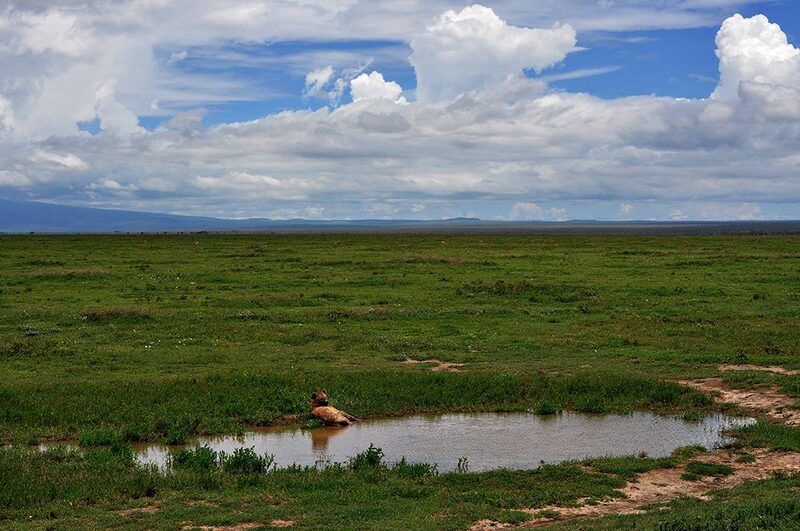 With the Masai Maara to the north, the sheer majesty of the Serengeti is hard to explain. There are many variations on the Serengeti Safari tour. So in order to make your initial planning stages much easier, we have created the ultimate Tanzania Safari. 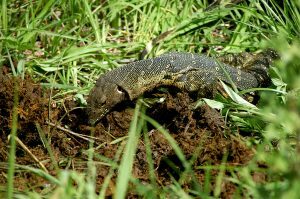 This of course can be amended as every Tanzanian Safari tour is tailor made. 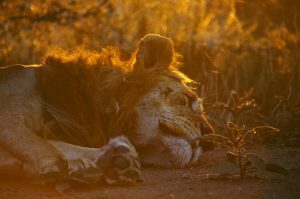 So while we can organise any safari in Tanzania, the Northern Circuit is perhaps the most popular. Please treat this sample itinerary as a foundation to build blocks onto to arrive at your personalised African Safari of a lifetime. This Journey starts in Arusha and includes the 4 major parks of Northern Tanzania (Tarangire, Lake Manyara, Serengeti, the Ngorongoro Crater). All you would need to do is get to Tanzania ! It includes all accommodation in Tanzania (parks and islands), all park entries, vehicles and driver/guides, unlimited mileage in the parks, free snacks / tea / coffee / sodas in the vehicles, return transfers to and from Kilimanjaro International Airport, a hotel night in Arusha (HB) on arrival, free storage of (dive) gear during the safari days, lunch in Arusha before departure to Kilimanjaro International Airport. It then takes you to Zanzibar Island for 5 days diving and 6 nights of rest near the warm Indian Ocean – you would have ample time to also explore the beaches, jungle, and historic sites of this Trade Winds Island. The dive centre is the best we work with on Zanzibar and knows all the sites ! *The itinerary below does also offers various options to do some additional activities once in the parks (please see the daily itinerary below) and where available, we have indicated activities besides the diving while on the island of Zanzibar. *During the safari, your guide and drivers stays with you the entire journey and will brief you every evening on what to expect the next day. They will discuss with you where they plan to go, based on preferences and the latest local sightings. This tour is based on an arrival into KLILIMANJARO airport (JRO) and a departure from Zanzibar International Airport. If your arrival in and out of Tanzania will be at any other airport, we can of course assist with further domestic connections. Please do not hesitate to email info@orientafrica.com for any further clarification or information. Upon arrival at Kilimanjaro International Airport please pass immigration, collect bags, and you will be met by the drivers and a Matembezi representative at the airport. The drive to the Arusha Lodge takes about 1 hour – this transfer is done in a similar safari vehicle that will take you into the bush from the next day onwards! On arrival at the Lodge you check into your room (s), split luggage to be left with the operators if so preferred, and there will be time for drinks and / or dinner. The representative will be around for any last minute questions and a good night sleep is ahead of you. Overnight Accommodation is at African Tulip Luxury Boutique Hotel in double / twin rooms, ensuite, including breakfast AM. Dinner is not included but is of course available in the hotel. Your drivers will collect you at the African Tulip Hotel and after breakfast, you set off on the short drive to Tarangire National Park. This road is still mostly tarmac, and soon you leave Arusha town behind. You see the first glimpses of bushlife, small Maasai villages and markets, and many bicycle pedal traders ! 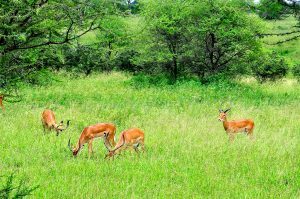 This drive takes about 1.5 to 2 hours and eventually you hit the bush –you will enter the park during the morning and you will spend the day game viewing this green and lush park. It is famous for its’ enormous herds of elephants, but you also have a good chance of seeing cheetah and leopard. The name ‘ Tara ngire ’ means ‘always water’ so high numbers of animals are a feature for this park, even when it gets hotter and drier. It has a high variety of landscapes enclosed in the park so it’s a perfect start. Overnight accommodation is in Sangaiwe Tented Camp, which is located on the eastern side of the Park on a hillside- offering amazing views from each of the wooden raised platforms– the enormous canvas tents are placed on stilted wooden floors and offer double / twin bed with fully western bathrooms, hot water, and a cosy seating area outside. The dining area is connected with a stepped patio to sit and enjoy the sunset over the savannah, and if you like to cool down – a small pool is here as well- with a view of the watering hole for warthogs and zebras! Dinners are held under straw roofs and with an a la carte or buffet menu. Our guides join our guests during dinner, and will brief you on the next days’ plans. 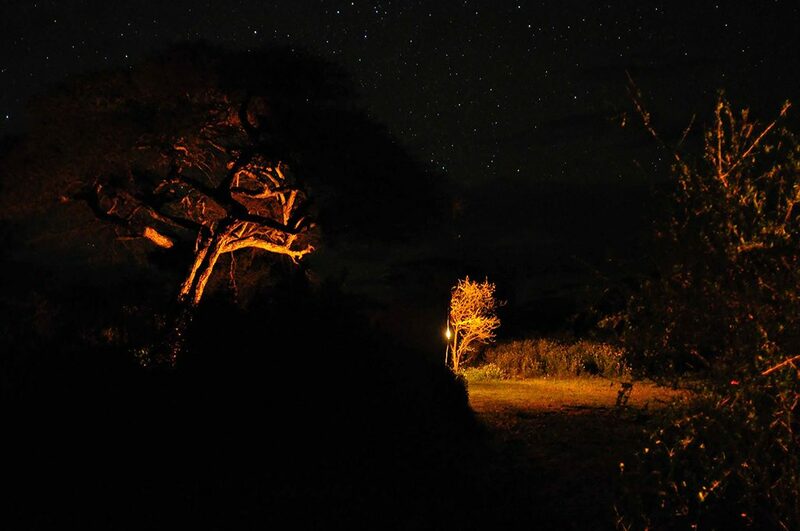 The lodges’ Maasai guards will eventually walk you safely back to the tent afterwards and while you have your first night in the African bush – you may hear the lions roar in the night…. Tents are double or twin, ensuite, all meals included. Today after breakfast you will depart Tarangire Park and move to Lake Manyara. This is a short (ish) drive of about 2 hours. 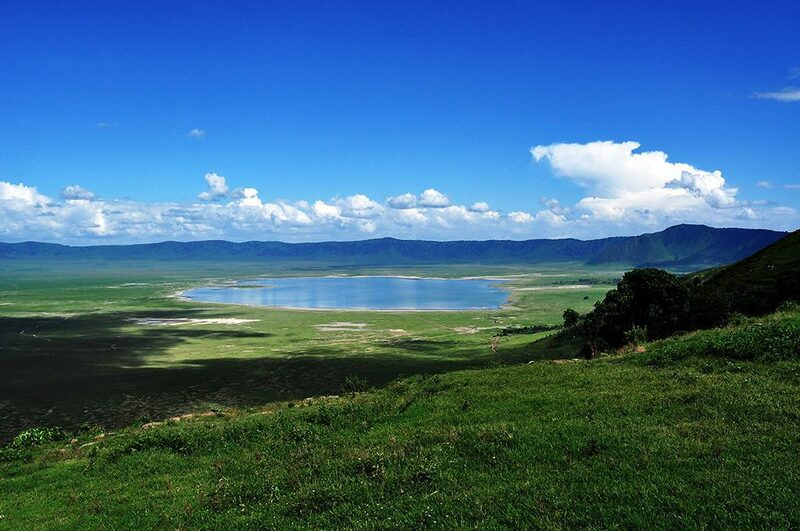 While driving, in the distance you will start seeing the rim of the Ngorongoro Crater. You will enter Lake Manyara by noon and choose a good spot for a picknick lunch – watch the birds come closer and closer, and feel the joy of some shade! The rest of the day is spent on a leisurely game drive around the Lake. This park is of a different type of landscape: it is mostly flat, being at the foot of the Crater and has a small dense forest surrounding the soda lake at the centre of it. It is the location and the water / salt that make it so important for animals roaming between the parks – it’s a drinking and sheltering corridor between various seasonal game areas. It may be smaller in surface then other parks in this area but it’s famous for superb birdlife, upclose views of crocs and hippos and if you are lucky: lions up a tree. At this time of year it will be very green and the Baobab Trees can still be blossoming. Overnight accommodation is at The Farm House Lodge – a 10 min drive from the Park gates. 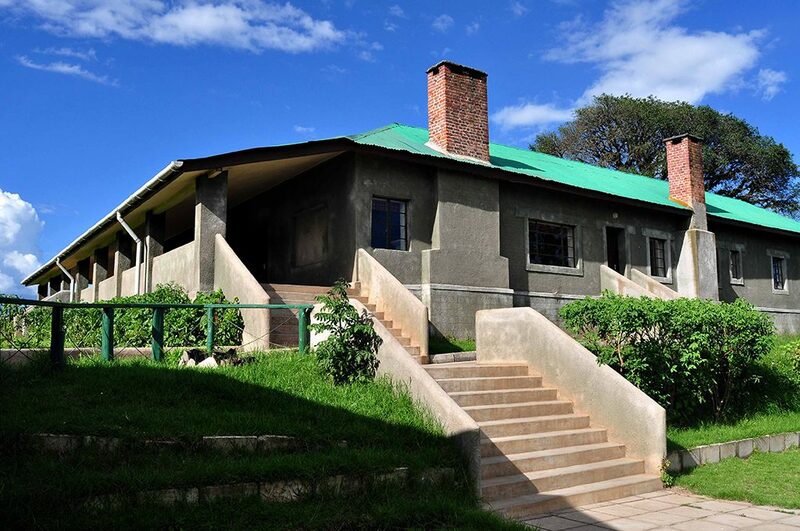 The Farm House has a fantastic main building with a real ‘Out of Africa’ feel to it. Here the lodge offers food and drinks while your room are in individual stone cottages dotted around the premises. It does get cool here at night at altitude so –each cottage has a fire place and do take out the fleece or sweater tonight! The Farm House is the brain child of a local developer and one of our favourite places to stay. The area is known for growing coffee so be sure you have some of the local roast after dinner. Again your driver(s) will brief your group for the next day. Accommodation is in double / twin rooms, ensuite, cottage style rooms and all meals included. *OPTIONAL ADD ON: ask the guides about an optional early AM walk along the property or fields just beyond: gorgeous views and nice to get out of the car! There is a site called Elephant Caves nearby: small drive and then a 1hour hike to waterfalls and lush forest. Must be done early AM so departure can still be on time…. A fairly long drive today after breakfast but showing a huge range of ecosytems: from Lake Manyara at sea level you will travel all the way into the Serengeti today. First you will climb the Crater Forest area – it’s a tropical mountain forest fringing the Escarpment of the Crater. As you rise in altitude, temperatures and fauna will change accordingly and in the end it is a cool, dripping, green mossy forest along the track. You then hit the edge of the Crater Rim at over 1800 metres – it is a stunning sight to gaze into this extinct volcano (caldera). This is the largest caldera in the world and similar in size to Paris. 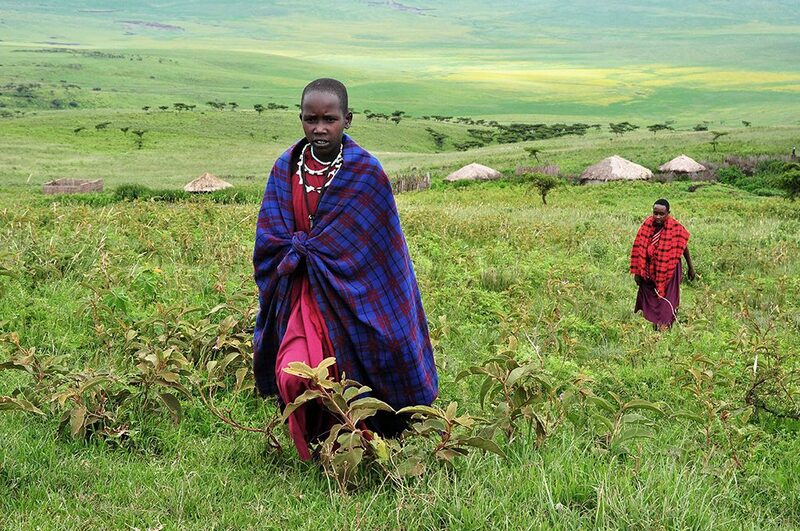 The road circles the Crater and on the northern slopes you will again descend partly and pass various traditional Maasai villages that live in this traditional land – dressed in striking blue and red they still herd their cattle in the old ways, roaming from water to grass. The road passes by another historical landmark – Olduvai Gorge, where the oldest footprint of men was found by Dr Leaky. If you like, stop for a brief look around here and have a coffee – contemplating the fact that Homo Erectus left their indelible print right here…. The last part of todays’ drive is dusty and bumpy – so keep that in mind. By noon you will finally enter the Serengeti proper at Naabi Hill Gates. You can actually visualise the meaning of the word ‘serengeti’ at this point – which means the ‘endless plains’ in Maasai – as you will be able to see the curvature of the earth here. 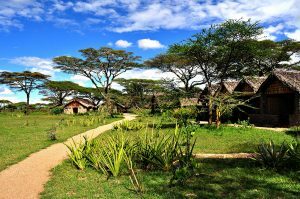 After entering the Serengeti National Park, you will slowly game drive towards the location of your lodge for this evening: Kubu Kubu Camp. 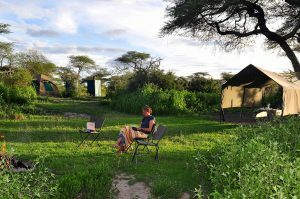 This is a lovely intimate small tented camp in the heart of the Park and your home for 2 nights. You have till sunset to reach here – while the grassland and famous ‘lion kopjes’ (stone outcroppings) teem with animals, large and small- so take your time. Kubu Kubu Camp offers perfect amenities in lovely designed large canvas tents – there is hot water of course and after the long day today – a pre dinner drink in the main area will be very welcome! It IS right in the heart of a park with wild animals so you may see a giraffe, zebra or an antelope wandering past your tent…. 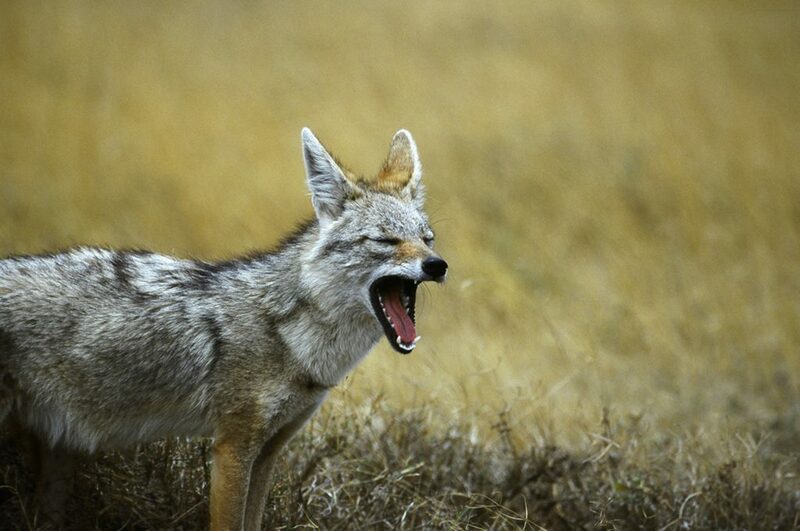 During the night you can hear the sounds of the plains….. 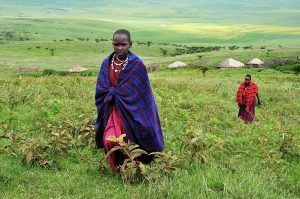 Here as well the Maasai guards will walk you safely to and from tent and dining room, and the guides will discuss the day ahead. 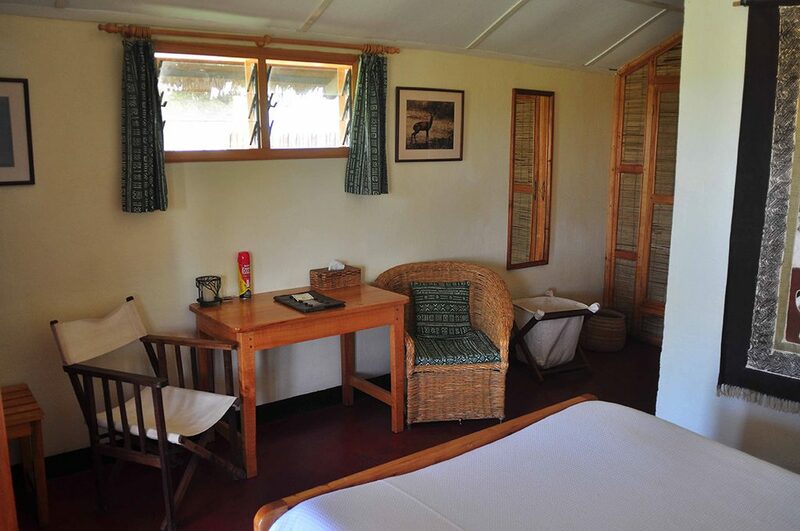 Accommodation is at Kubu Kubu Tented Camp in double or twin rooms (= tent), ensuite and all meals are included. *OPTIONAL ADD ON: this morning, IF some of your family want to do so, there is the option of doing a hot air balloon trip over the Serengeti. This would be instead of a morning game drive. A hot Air balloon trip would start pre dawn, and you return to camp around noon for lunch. It includes a transfer, flight, champagne breakfast, and return to camp. Please discuss this well in advance so arrangements can be made in time with the operators (not the camp). Then a afternoon game drive can follow. You have a second day full in the Serengeti to enjoy the many, many herds of animals and devote a day to simply watch and roam. 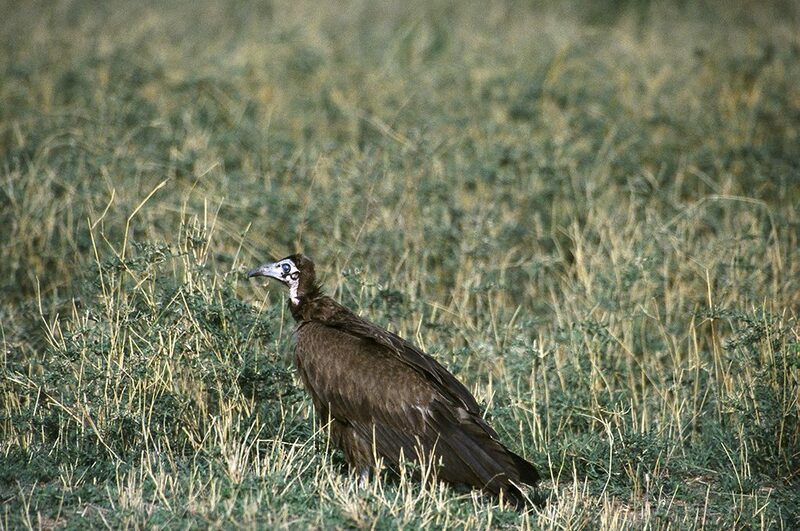 The guides will be able to find the best sites locally with you – based on the most recent sightings. Let him know what you would most like to see! It is your choice to either spend the full day out in the park with a picknick lunch or return to the lodge for lunch and a break from the heat – then go out again in the golden afternoon light. Besides the Big Stuff – take some time for smaller species that make the animal kingdom tick: lizards, bugs, birds, jackals, snakes, flowers and certain fauna: they all have their purpose in nature and it is fascinating to discover their connections. Ask your guide to show you some small wonders! 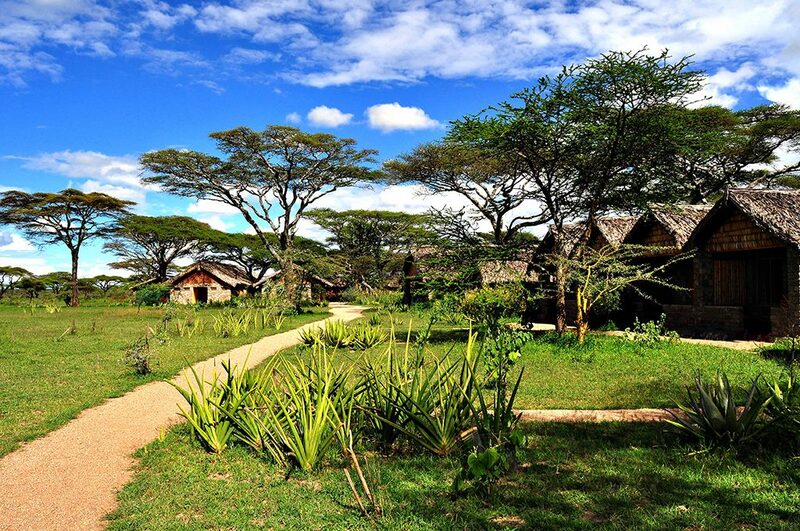 Accommodation is again in Kubu Kubu Tented Camp in a double or twin room (=tent), ensuite, and all meals included. Today it is vital you have an early start – you will drive all the way back to the Crater to then enter and descend into the Crater in the afternoon. Your permit is for the afternoon entry – so let’s make sure you are ready and make the most of this incredible sight. This Crater holds its own ecosystem with cool temperatures on the top of the rim and warmer areas down below – a dramatic steep drop of 1800 mtrs on all sides means all kinds of animals find their living here. A very steep entry track leads down into this safe haven for animals. This is the only place you may be able to see Rhino, so have a good look around – and you might get lucky! The Crater of course houses a number of resident prides of lion, but also flocks of flamingos, elephant, buffalo, hippo, hyena, vultures, and giraffe will all get very very close to your car. There are a number of known leopard dens here so do ask the driver guide about any recent activity – they are shy, solitary and nocturnal hunters so it’s hard to spot one! You will catch the start of the sunset inside the Crater still, but by 6 PM you do need to be out of the Crater – when the animals take over again. You will be staying again at The Farm House nearby for a last evening and dinner in the wild. Overnight accommodation is again in a double or twin room at The Farm House, ensuite, and all meals included. 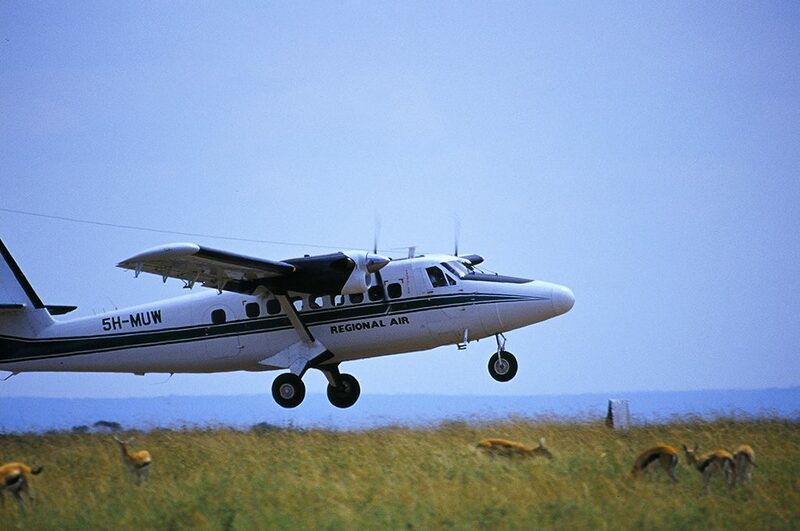 Today you could take it a little bit easier on departure – the drive back to Arusha is approximately 2 to 3 hours only. So enjoy a good breakfast with some Kilimanjaro coffee before driving off and flying out to Zanzibar Island today for the next part of this adventure. The drive will lead to Arusha, where you will be offered an early Lunch at a Lodge (included) and dive / surplus gear can be collected from the operator. The drivers will then finally take you all to Arusha Domestic Airport in time for your flight to Zanzibar between 12:00 /14:00 – they will make sure all check in procedures are smooth and sorted before waving you off.